Check out Tobi's Carol Cat Ears Headband Channel your love for cats right meow with the Carol Cat Ears Rose Gold Headband. This jeweled cat ear headband features shiny dainty rhinestones. These Halloween ears will look fab with a bodycon dress and drawn-on whiskers. 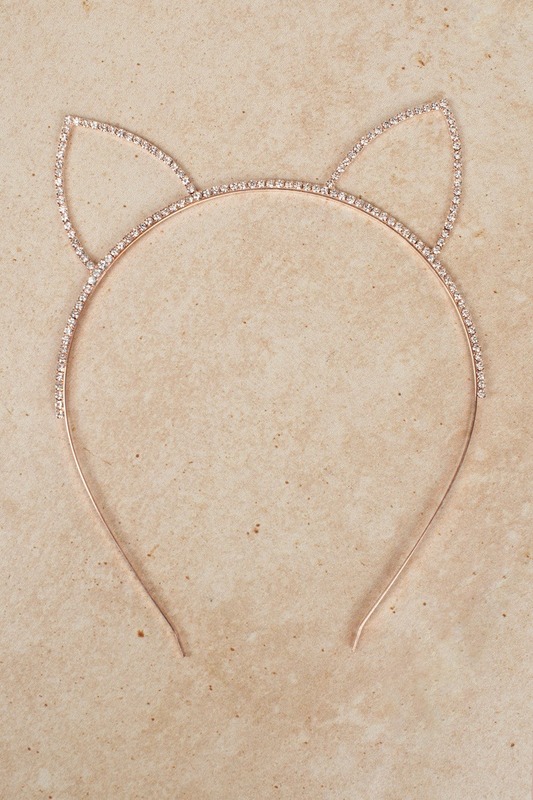 Channel your love for cats right meow with the Carol Cat Ears Rose Gold Headband. This jeweled cat ear headband features shiny dainty rhinestones. These Halloween ears will look fab with a bodycon dress and drawn-on whiskers.